Fernando Llanos is one of Mexico’s most well-known video artists. His work has been shown in more than 20 countries including the Guggenheim in New York City, the World Wide Video Festival in Amsterdam and the Transmediale in Berlin, among others. He is also the curator of Manchuria: Peripheral Vision-A Felipe Ehrenberg Retrospective. This coming Thursday, Fernando Llanos, who is also a musician, writer and blogger will perform live with his band, mi:reyna at En La Noche at MOLAA. 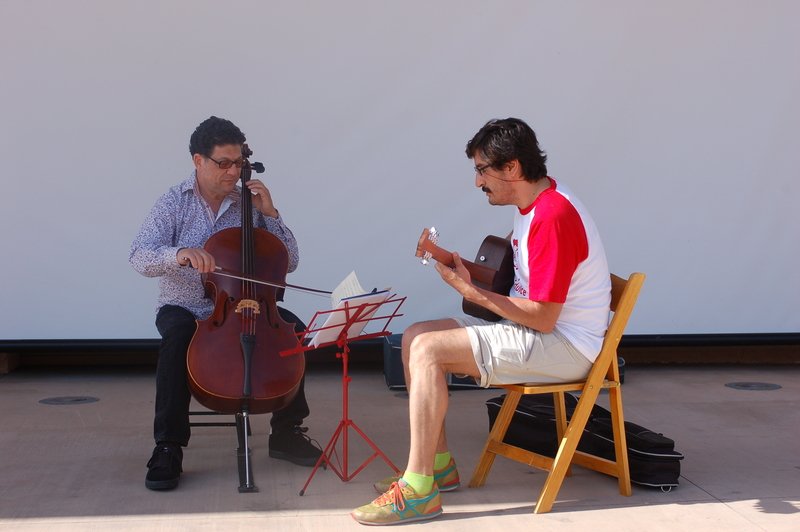 Fernando Llanos (playing the guitar) rehearsing at MOLAA.